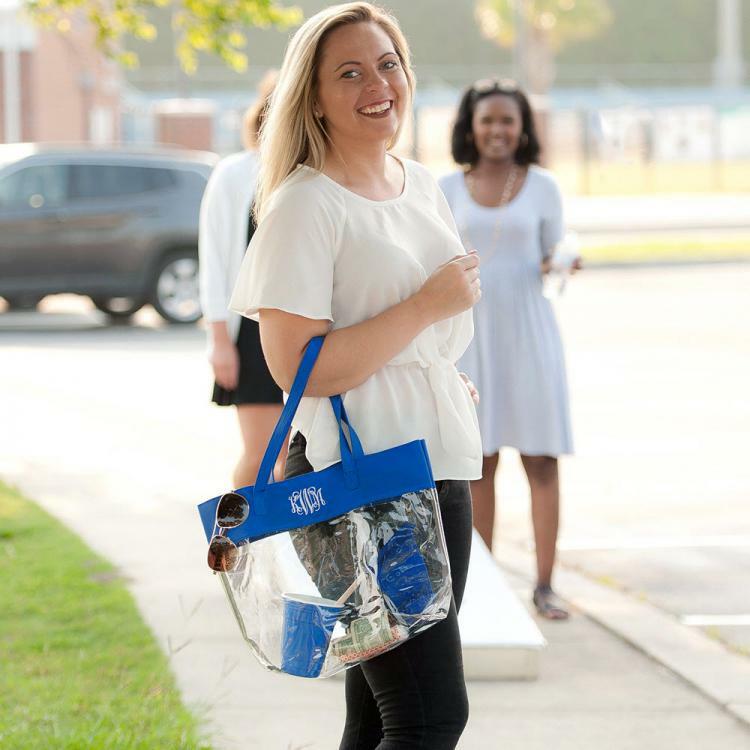 These perfect clear game day bag can carry all your stadium needs. Be ready to cheer instead of stuck at the gate when you have the right bag. New stadium clear bag policies don't have to be boring. Our clear tote meets all standard requirements, so take what you usually do and clear security in style. This tote is also easy to wipe clean so you don't have to worry about rain or spills. Add your favorite team's name, your name, monogram, or a fun phrase and be cheering in the stands and not standing at the gate when your team is ready to play!